Projecta’s new Intelli-RV range offers a comprehensive power management solution to suit caravans and recreational vehicles, providing easier, safer installation and battery/solar management. Within the range are four different kits offering customers a variety of features to suit their application and budget. Power-Hub turns your battery into a versatile user friendly option for powering and charging a wide range of accessories and appliances while you are ‘off the grid’. It is the ideal alternative to a conventional dual battery system, giving you the freedom to take power away from your vehicle. The ideal power management solution for camper, trailer and caravan manufacturers looking for pre-built power boards that utilise the latest technology. With ease of fitment, these power boards come pre-wired enabling quick and professional installation. 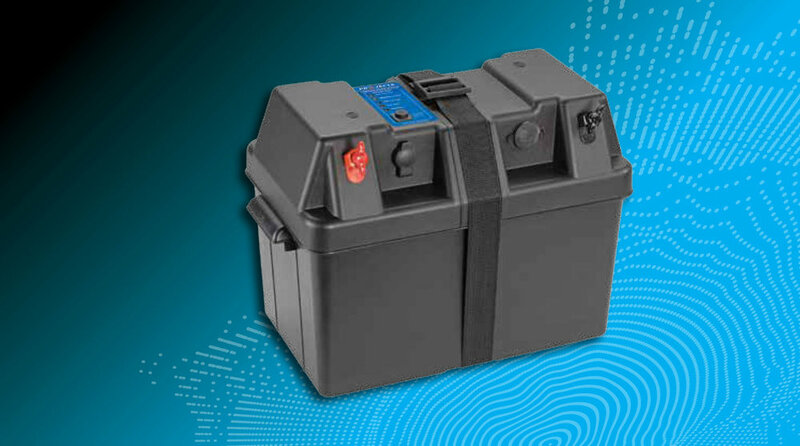 The ideal solution for protecting expensive deep cycle batteries from over-discharge. Automatically disconnects the load when the LVD detects the voltage has dropped to the disconnection point, ideal for caravan and motor home applications. Convert your battery into a useful power source, and store it safely and securely. Ideal for securing batteries in areas exposed to the elements or where limited room is available within a vehicle’s engine bay allowing fitment where convenient, eg. ute trays. Designed to convert 24V power to 12V, Projecta’s range of voltage reducers offer a convenient solution when powering 12V appliances including radios, mobile phones, TVs and onboard communication equipment from 24V vehicles.